Every so often, a story hits the local newspaper of a house fire caused by a gas water heater. Generally, the fire starts by flammable materials left lying to close to the tank. Some people get a little nervous just hearing the gurgling sound the water heater makes, thinking that it will explode at any moment. There are dangers involved with gas water heaters, but these can be avoided with extra caution on the homeowner's part. Gas appliances in the home that are not properly vented can cause carbon monoxide poisoning in people and pets living in the home. Carbon monoxide is a colorless, odorless gas that can make you suddenly ill or even quickly cause death. Common symptoms of carbon monoxide poisoning include headache, weakness, nausea, dizziness, chest pain, vomiting and confusion. Carbon monoxide is a silent killer because people who are sleeping can die from poisoning before symptoms are noticed. Flammable vapor fires happen when vapors from that gas water heater collect around the appliance and ignite when the water heater kicks on. Combustible materials such as gasoline cans, cleaners and paints, as well as old papers and clothes can be ignited during a vapor fire and cause further damage. 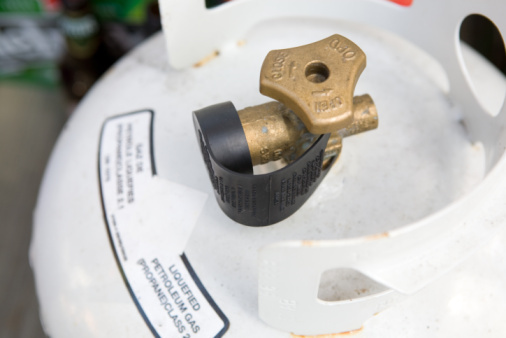 Explosions of gas water heaters can happen for two reasons. In new gas water heaters, the bottom is sealed, so there is less chance of vapors getting to the flame. In older gas water heaters, there was no seal, and the bottom was virtually open, posing an explosion risk. Another reason for explosion of a gas water heater is a faulty pressure relief valve. If this is not working properly, pressure will build up on the inside of the tank until it can hold no more, resulting in explosion. Never, under any circumstances, cap a pressure relief valve. 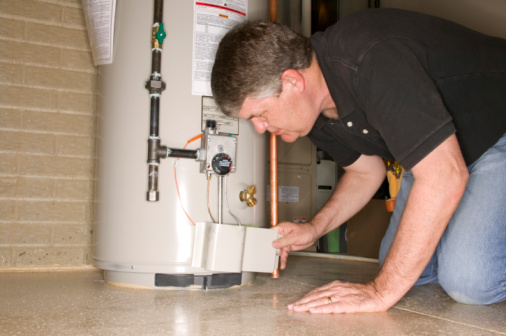 To help prevent accidents related to gas water heaters, be sure that the water heater is properly vented. Put carbon monoxide detectors throughout your home to alert you if the levels should become dangerous. Keep the area around and near the gas water heater clean, using plain water, if possible. Chemicals found in cleaners may be a dangerous mix with gas fumes coming from the water heater. Also keep the area clear of combustible or flammable materials. Do not store or use any type of chemicals near the water heater. If you would like to avoid the dangers of gas water heaters, there are alternatives. Electric water heaters use electricity to heat water, so there are no vapors to escape, and there is no risk of carbon monoxide poisoning. You may also want to check out solar water heaters, which are extremely safe and energy efficient. 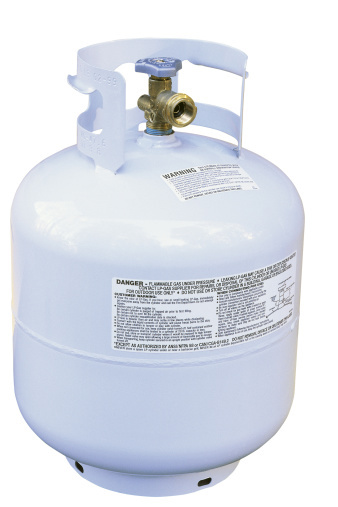 What Causes a Propane Tank to Frost Up?